Nordskog Publishing now makes unused copies of this valuable little book, out of circulation for some time, available to the public while our limited supply lasts. Search the Internet on Christian Reconstruction and you find this historic view of the Biblical faith much misrepresented and maligned. 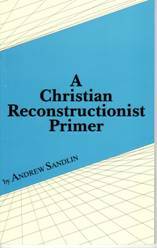 Rather, Andrew Sandlin declares Reconstructionists to believe in the Bible, salvation by faith alone, preaching the Gospel, and other allegedly dangerous doctrines. No, Christian Reconstruction is nothing more than the historic Reformed faith of Jesus Christ in its fullness. 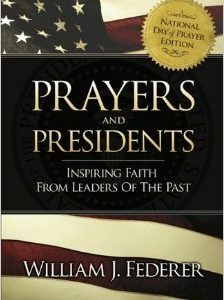 It is the doctrine of the Pilgrims and others who established America’s Christian liberty. 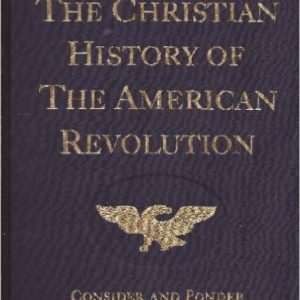 Christian Reconstruction merely seeks to cast down everything that exalts itself against the knowledge of God, taking every thought and action captive to Christ (2 Cor. 10:5). Read this little book for a simple introduction to the true story. Be the first to review “A Christian Reconstructionist Primer” Click here to cancel reply.